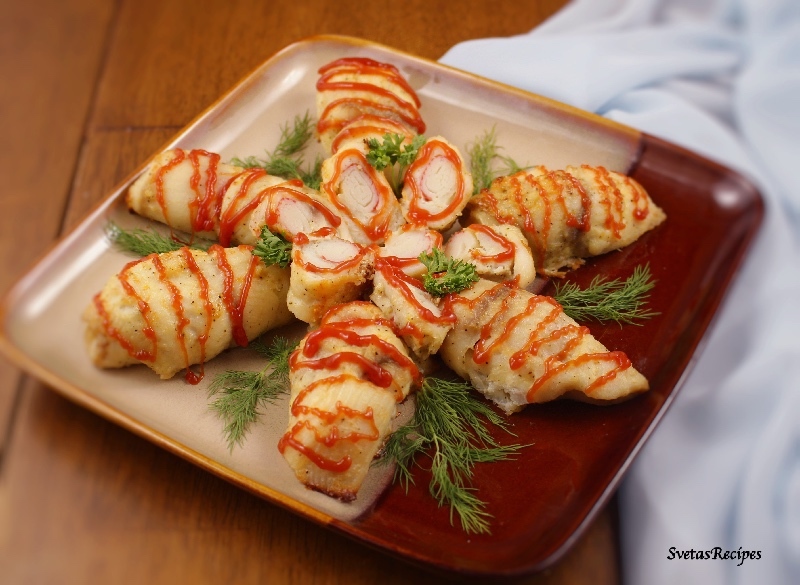 Tilapia fish is very tasty but roulettes with crab sticks are a whole new level, I really love how theses Tilapia Roulettes are put together. Everyone at my household enjoyed them so I hope you do to! 1.) Place your fish into a plastic bag and beat with a food hammer until it is softened. 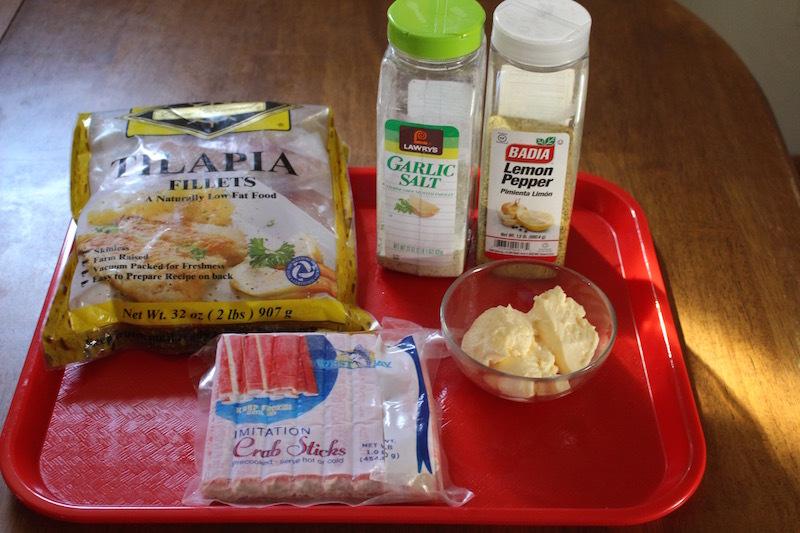 In a small bowl mix together your fish with mayonnaise. Also add seasoning (garlic salt and lemon pepper). 2.) 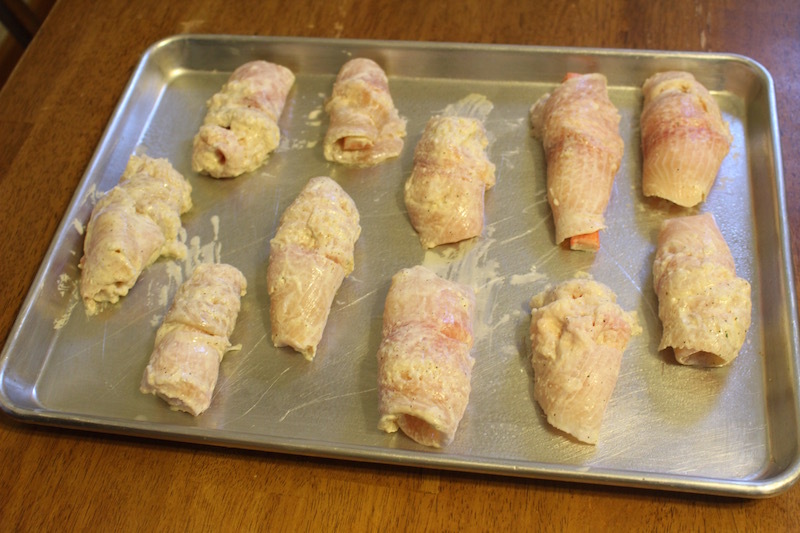 Cut your crab sticks into halves, place on half on each tilapia and roll it up into a roulette. 4.) Place them on a greased pan and bake for 25 minutes on 370F . After take them out and cool them off. Now your ready to serve. Tilapia fish is very tasty but roulettes with crab sticks are a whole new level, I really love how theses Tilapia Roulettes are put together. Everyone at my house hold enjoyed them so I hope you do to! Place your fish into a plastic bag and beat with a food hammer until it is softened. 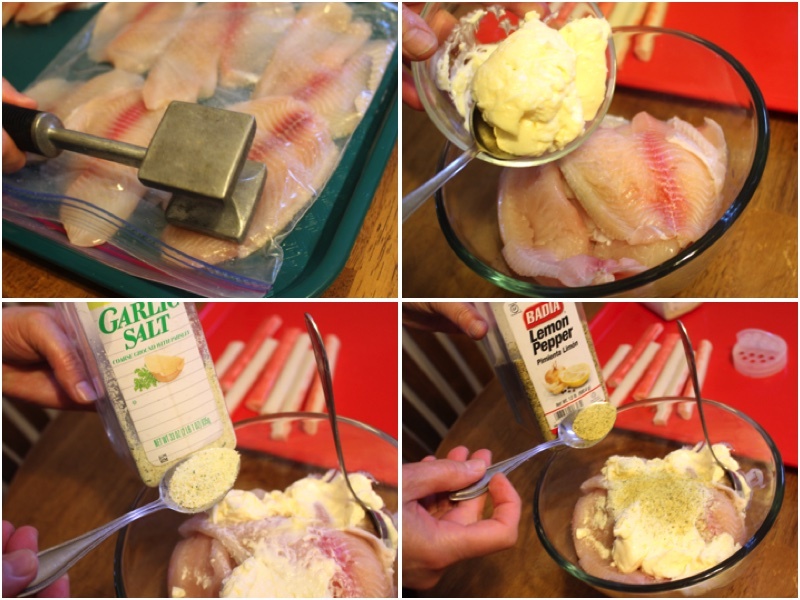 In a small bowl mix together your fish with mayonnaise. Also add seasoning (garlic salt and lemon pepper). 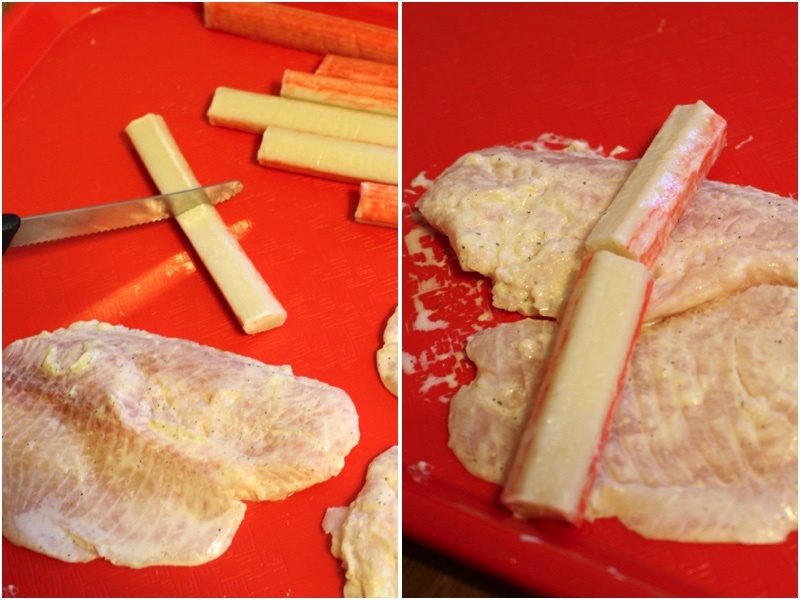 Cut your crab sticks into halves, place on half on each tilapia and roll it up into a roulette. Place them on a greased pan and bake for 25 minutes on 370F . After take them out and cool them off. Now your ready to serve. What an interesting recipe! I love mayo with fish!